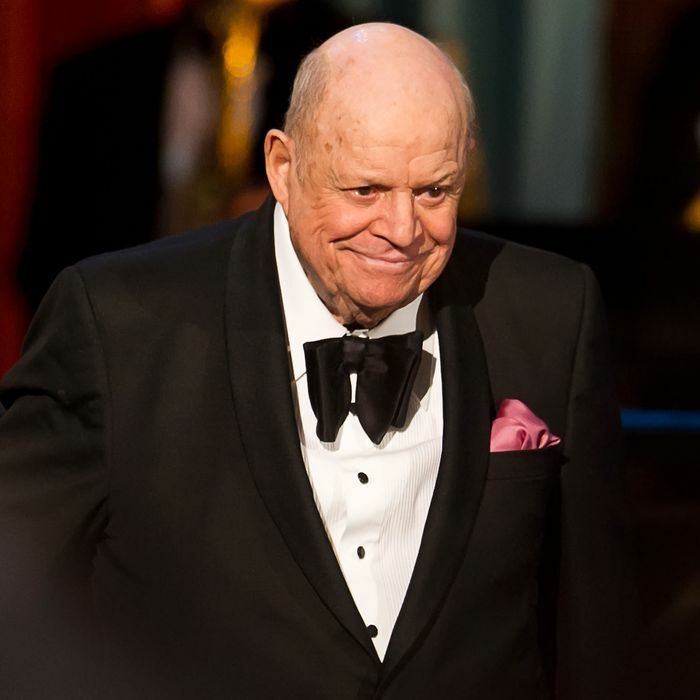 On Thursday, comedy legend Don Rickles died at 90 of kidney failure. And almost immediately, remembrances from the comedy community came pouring in. Some shared touching notes and photos, others paid tribute to Rickles as he would have done for them: with either their best insults or by retelling the ones Rickles hurled at them first, many using Rickles’s infamous “hockey puck” heckle against him. Patton Oswalt, on the other hand, went the extra mile of imagining the jokes Rickles must be telling his late famous peers now in the “Great Beyond,” as Samuel J. Jackson calls it. See how comedians and celebrities from Billy Eichner to Jim Carrey are giving Rickles a fitting send-off. Don Rickles died and he would have wanted me to call him a mother fucker. RIP. Don Rickles was a great actor, and added so much to Casino, including repeatedly breaking up DeNiro! Make em laugh in Heaven Don. That last voice of old school brutal honest comedy has left us. I'm deeply saddened to learn that @DonRickles has passed. We needed him. Farewell to a comedic legend & dear friend, Don Rickles. I know you're cracking them up in the Great Beyond! 90 years old. Didn't look a day over 214. Nice job dying, you hockey puck.